Special friends need special attention. They deserve more appreciations and love than anybody else. 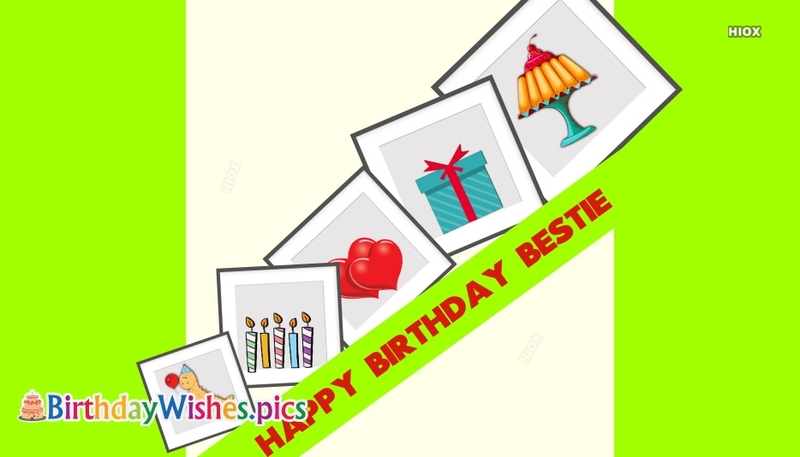 Here is a great collection of best birthday wishes to share with your best friend on his/her birthday. You can use these ecards to wish your bestie and put him/her on cloud nine. You can share these greeting wishes through whatsapp, facebook or any social media profiles. No other day can be more apt and better to express your love over your best friend than his/her birthday. It’s the special day to be filled with the special moments. Cherish your friend’s birthday and make it a life time memorable thing with your wishes. 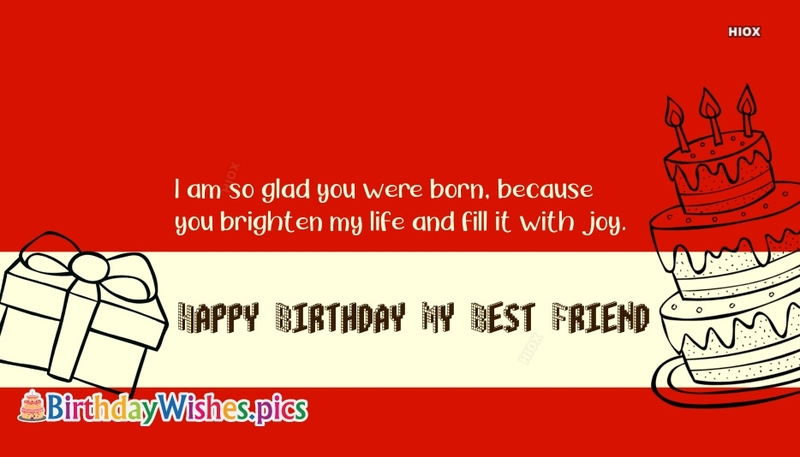 Rather than any plain text message, use our stunning collection of happy birthday wishes ecards to express your love. Thank you for putting up with my moods and crazy streaks. You are like a sister to me. You are my everything! Happy birthday to you! When nothing goes right, I go to you. You're my go to person at every hour. Happy birthday Dear. Happiest birthday to my best friend. You deserve all the wonderful things that you have right now. You are the purest soul, and you have the biggest heart. I love you. Best wishes on your birthday! You deserve all the wonderful things in this world because you are the best person I know. I love you! Happy birthday! You simply are the best. Never spend a moment doubting it. Keep shining, my bright star. Have the best birthday!